In some situations, you may need to find out the uptime of your Mac for troubleshooting a problem or for other purposes. In any situation you need to know how long your Mac has been up, we have the solution. You could easily find it out without any third-party softwares or programs. All you wanted to do is to follow the simple steps given below in this article. We are sharing two ways to find out the uptime of your Mac right from your OS itself. So, let’s have a look at them. Your Mac system panel contains the informations about your system alongside the uptime of your computer. 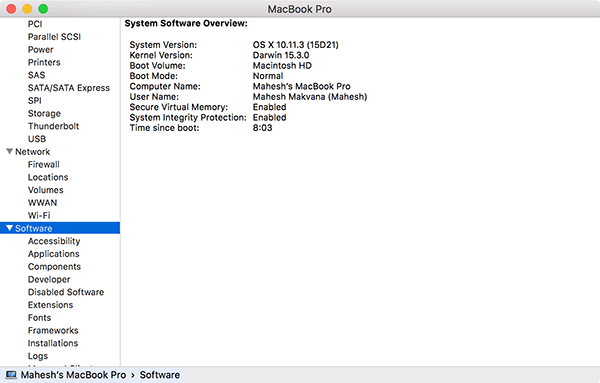 To know your Mac uptime using system panel, follow the simple steps given below. Click on the Apple logo in the top-left corner. Then, select the About This Mac option. Now, About this Mac window will pop up. 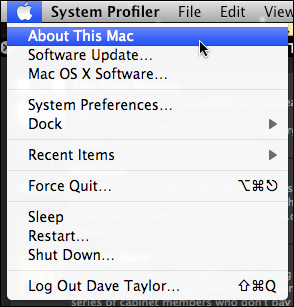 While on the About Mac panel, click on the System Report… option to open the system panel. Select Software option from the left pane. Now, you will find the Time since boot on the right pane as shown in the above image. 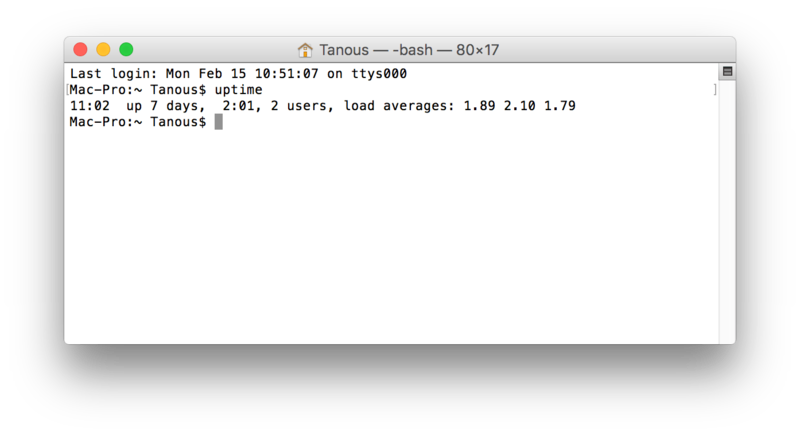 Finding Mac uptime using terminal is very easy. You only need a single line of command to do that task. To do so, follow the simple steps given below. Click on Launchpad in your dock and search for Terminal. Once you found the terminal, click on it, and it will launch the terminal window. Type the following command in the terminal window and press Enter. Now, the information about the uptime of your Mac will be shown. It’s that much easy to find out the system uptime using the terminal. If you ever face a situation where you want to know the system uptime of your Mac, you should follow one of the above steps. Before trying some third-party applications to do the task, it is better to follow the simple steps given above as it is only using the system resources to do so.